Ever since I can remember my Mum has had an Easiyo yoghurt maker. As a kid I have to say I didn’t really like the yoghurt she made as I have always had a sweet tooth and Mum always made the Natural unsweetened one. However, more recently I have been buying Jalna’s Fat Free Natural yoghurt to eat with frozen berries as suggested by my dietitian. 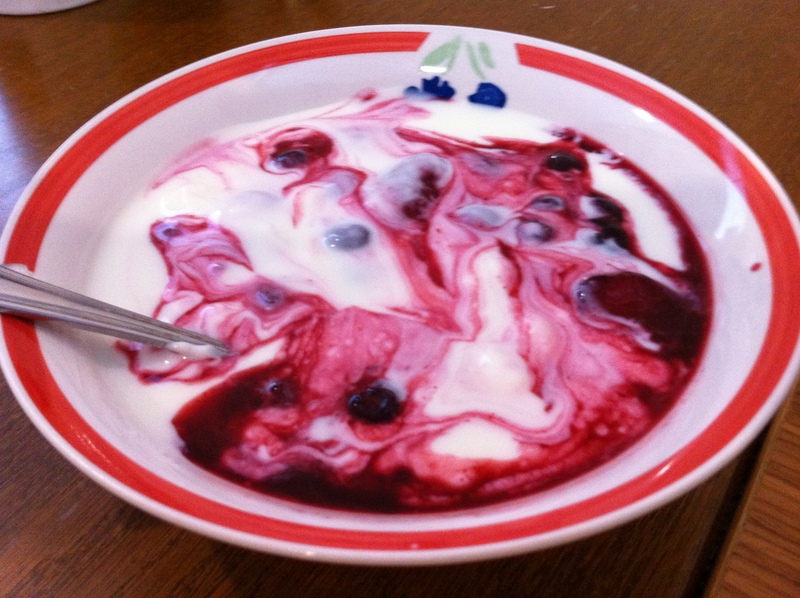 While I enjoy the Jalna yoghurt I have found it rather expensive to be eating 200g every day. 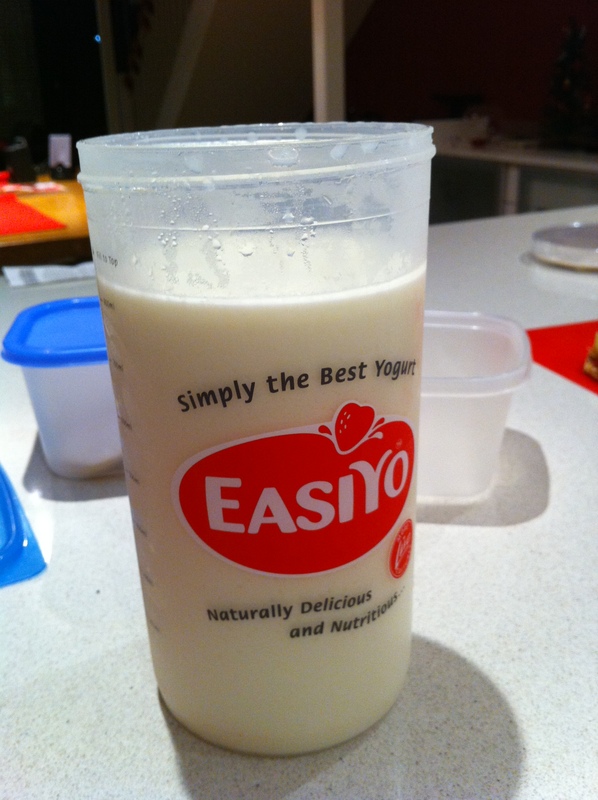 The other day when I saw Mum making Easiyo yoghurt I suddenly wondered whether Easiyo had a fat free natural option. I was very excited to see that they have a Reduced Fat and Skimmers option (which I am still trying to work of the difference). The Easiyo hardware (yoghurt maker) only costs about $25 (it’s on special at Coles at the moment though for $18) and the individual packets of yoghurt, which make 1kg each, cost about $3.50 (though these are also on special at the moment, $2.50 for the skimmers packets). And now for the good news, the yoghurt tastes just as good as Jalna yoghurt. If you aren’t a fan of natural yoghurt, Easiyo has a number of different flavours and they also have fruit squirt toppings. Other products include drinking yogurt, greek yoghurt, custard, ice cream mix, mousse mix and cheesecake mix. Would you make your own yoghurt? Oooh I love Jalna yogurt and I haven’t actually bought it as I wasn’t sure how it would taste. An in law has a yogurt maker but I don’t think it was the same one or they didn’t have much success as theirs was so watery.Thanks for the review! 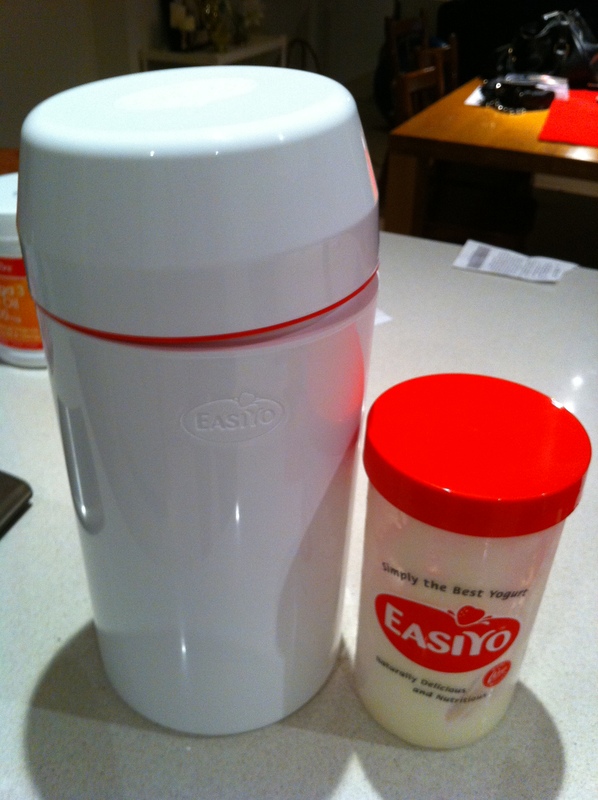 No problems – three batches later and no problems at all the with Easiyo yoghurt maker, I’m hooked!